Yesterday involved a lot of food, from the three bird roast to the Christmas pudding, not to mention the tub of Cadbury Heroes... Its safe to say we over indulged! Today I'm still feeling Christmassy but was wanting to reduce the calorie intake. 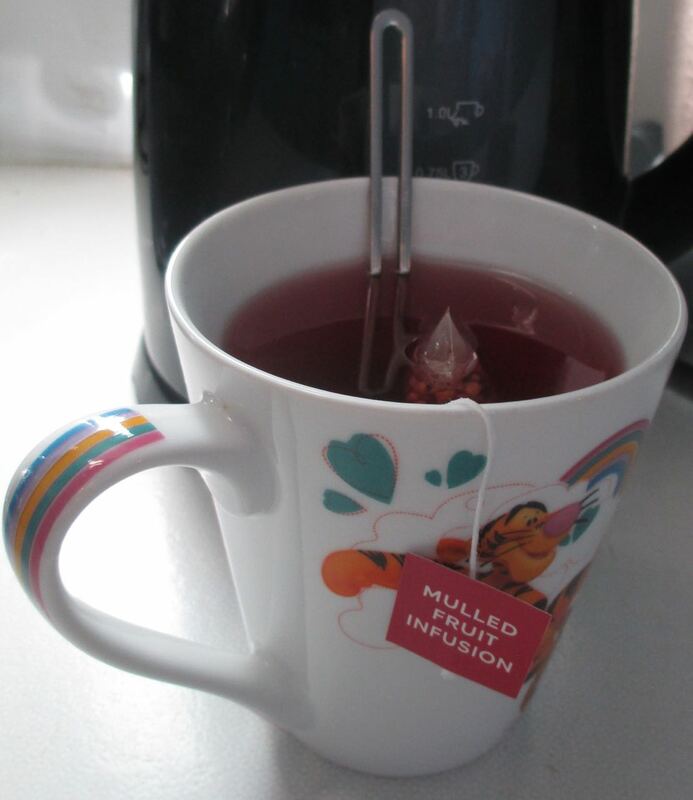 What better way then than with a seasonal Christmas Mulled Fruit Infusion tea? 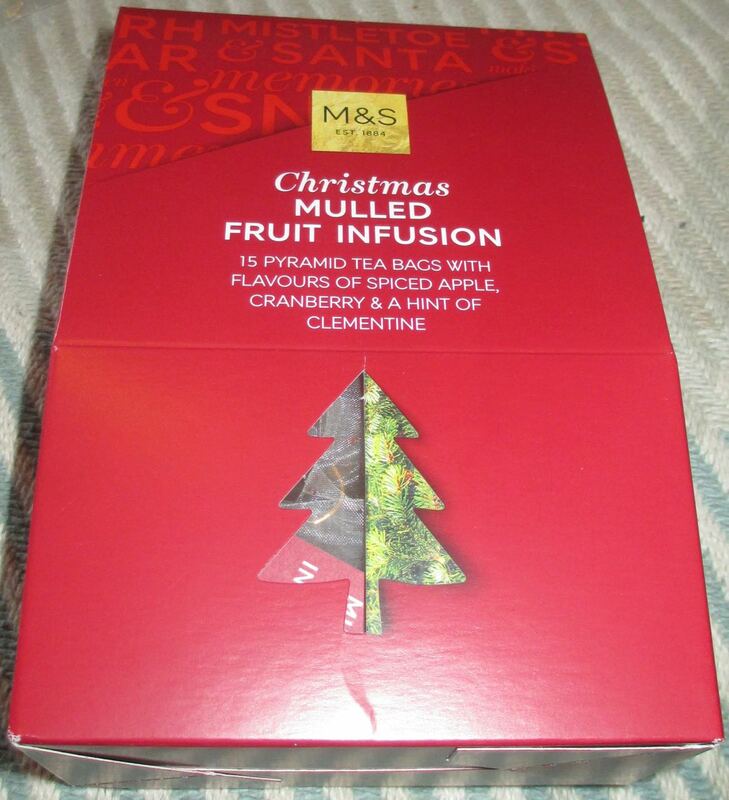 I first had this tea in the Marks and Spencer cafe, and liked it so much I bought a box. It seems a nice treat on Boxing day afternoon. I know I spoke of detoxing post Christmas, but I still added a half teaspoon of sugar to enhance the flavour (and because I have a sweet tooth). The tea turns a lovely festive red colour, and smells wonderfully spiced. The most dominant flavours are from the apple, cranberry and the ginger. The fruity taste works well with the spicy flavours, and it is very much a warming drink. I like the addition of the Christmas spices, but couldn't pick up on as much cinnamon as I'd have liked, but then it is a favourite spice of mine. This is the kind of tea which still feels seasonal, but will contribute to a bit of post Christmas detox, until you are ready for a big mug of hot chocolate and cream again!